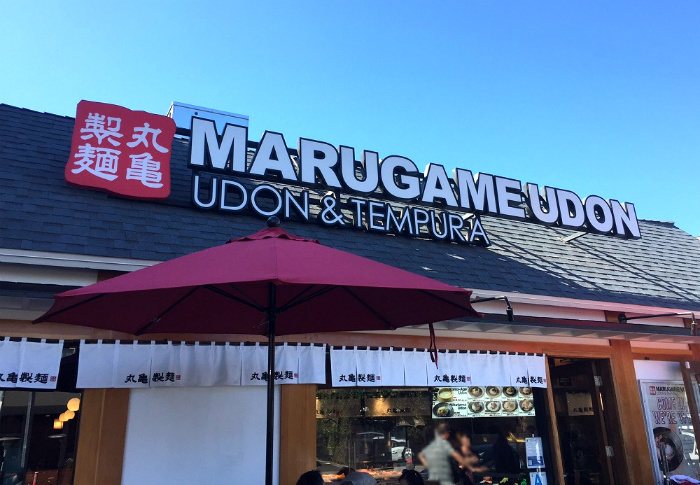 Enjoy Japanese udon noodle at MARUGAME UDON & TEMPURA in Los Angeles – JCB International Credit Card CO., LTD.
MARUGAME UDON & TEMPURA, a popular made to order udon restaurant chain from Japan, opened their first US-mainland location in Sawtelle Japantown, Los Angeles last September. 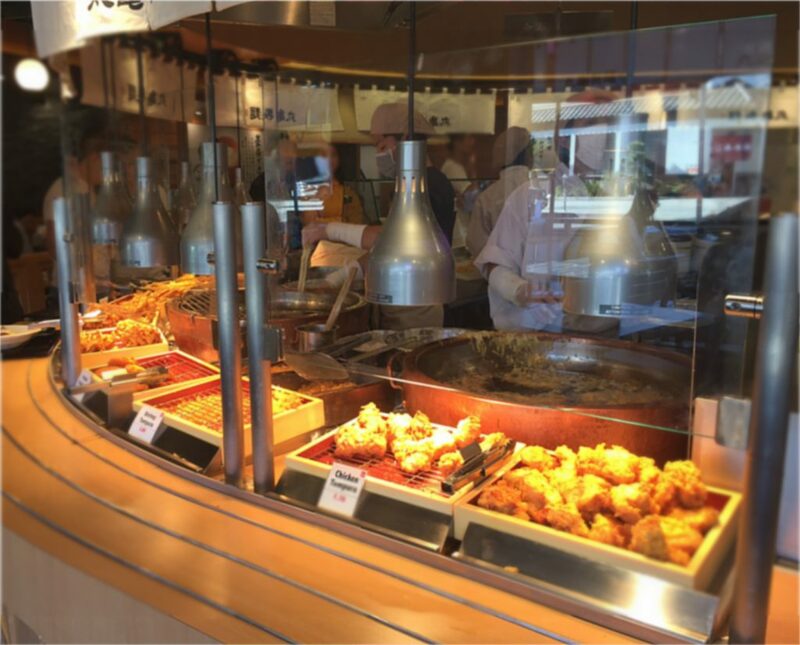 Get a tray and order your selection of udon from the cook behind the counter. Pick side dishes such as tempura and rice bowls as well as your drinks. Make a payment at cashier. 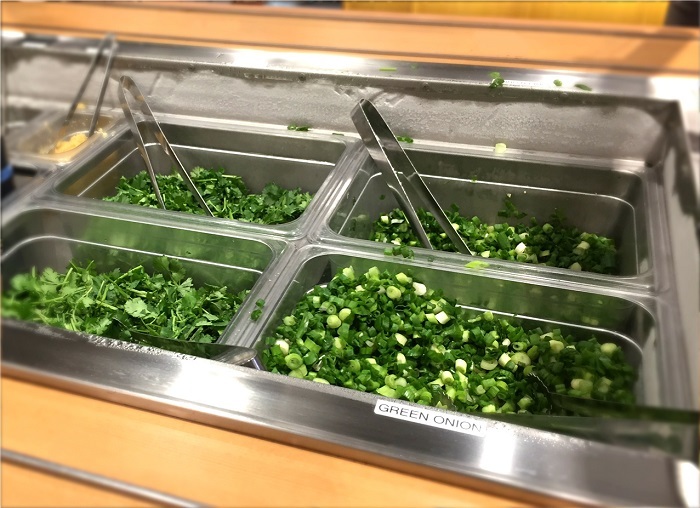 Visit the topping and condiment corner and sprinkle the topping you like to personalize your udon, then find a table and enjoy! 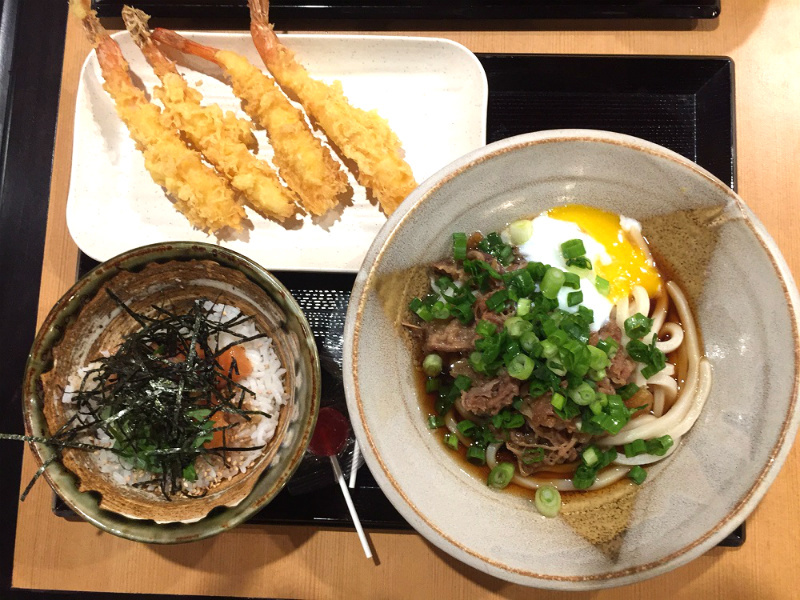 Nikutama Udon is one of their popular items and features a sweet beef broth, similar to sukiyaki broth flavor, with very soft poached egg on top. If you are still hungry, try their mini-size rice bowls. 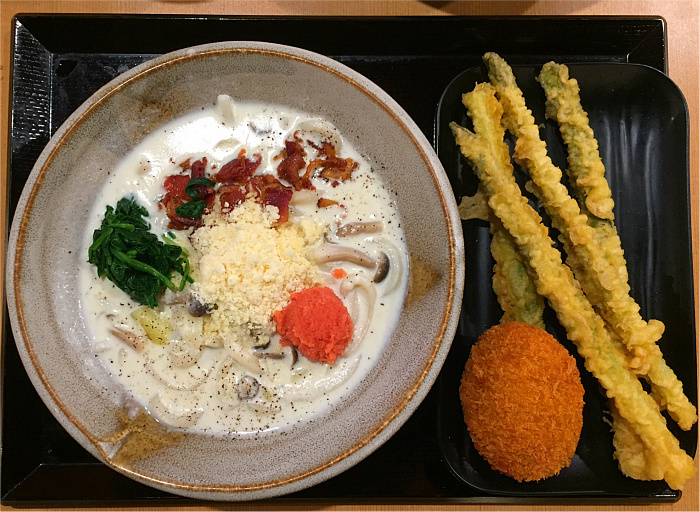 The Mentai Cream Udon (cream sauce udon topped with spicy cod roe) is made in limited quantities so you may want to get there early. Their price range is very reasonable in Los Angeles, where eating out can be very expensive. It has already become a popular spot in the Sawtelle area.